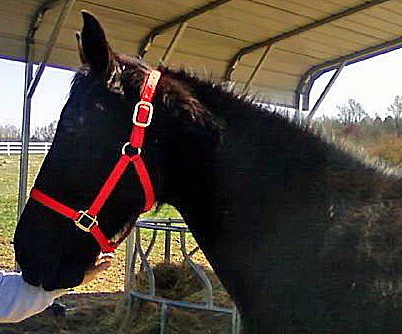 He’s our new horse and will be moving in Friday, March 26th, 2010. Bob and I have wanted horses for several years but never found the time nor the right horse. That is until … Monday. Jordan mentioned that Little Man was for sale. Little Man! For sale! Bob had ridden Little Man, a TWH. He fell in love with his ride. Aglow when he returned, all he could talk about was how smooth LM’s ride was.Perfect! That’s all I needed to know. She told me that she could have him ready by Friday, if I could wait that long. Hey, it’s better she come to closure by preparing him, than me rushing in. “Fine,” I said. That nigh Bob and I talked a bit more about bring a horse on board. We reminded each other that we’d wanted horses since 1995 (this is 2010) and that if we only had him for a while, then we would have completed our dream. By bed time he was still uncertain. The next morning he was working on liking the idea of getting Little Man. God love this man, after being married to me for almost 30 years, he bounces so well. I’ll keep you posted on our progress. We have much to learn and Little Man is the horse who can do it. We’ve renamed Little Man to Bentley.